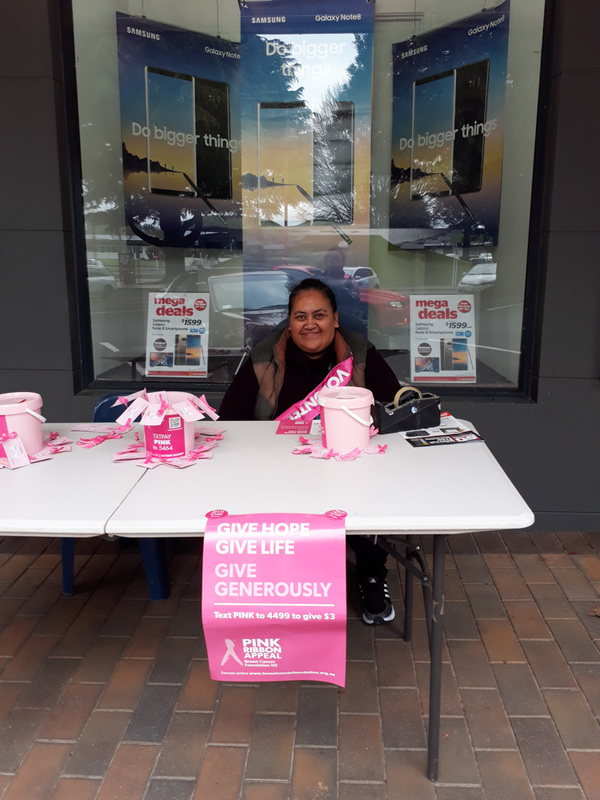 To help combat the toll that breast cancer takes on our community, Raukawa Charitable Trust (RCT) kaimahi spent Friday 13 October in Tokoroa collecting for Pink Ribbon Day. 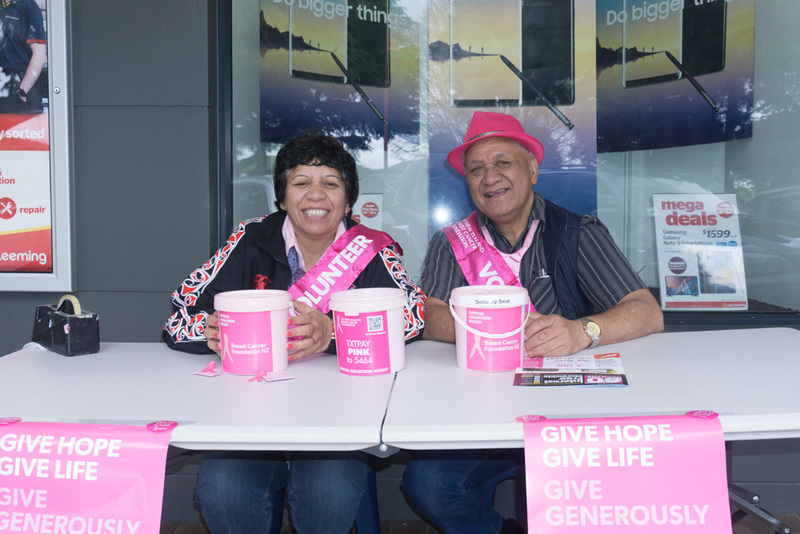 Stationed in Leith Place RCT kaimahi took shifts collecting from 9am to 3:30pm. 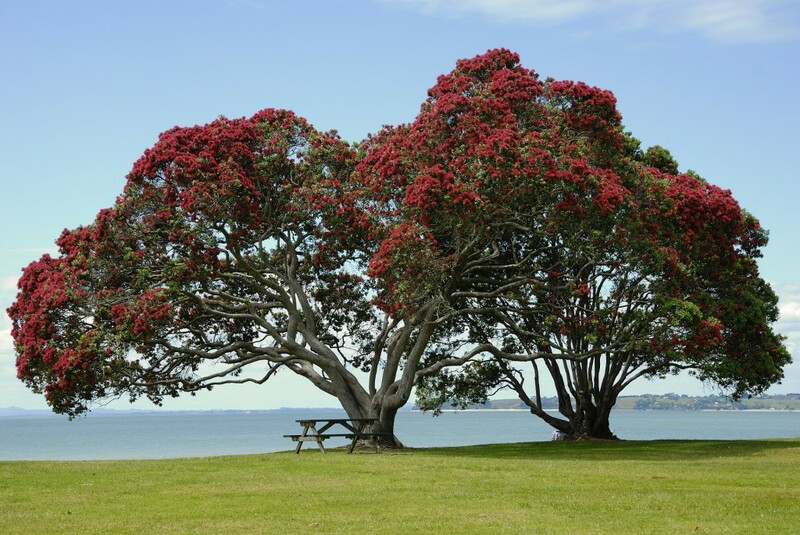 Altogether 14 kaimahi gave up their time for this worthy kaupapa. 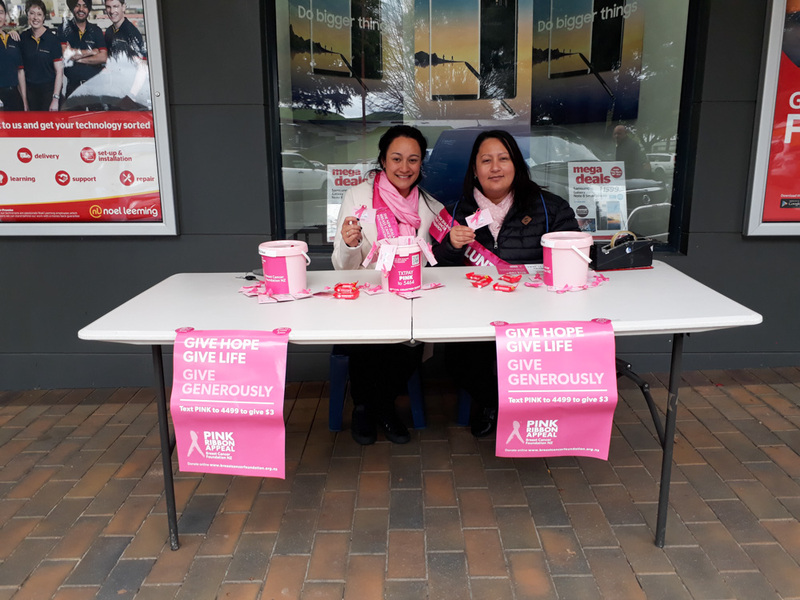 The funds raised will be used to fund research, awareness and education programmes, and providing support to those diagnosed with breast cancer and their whānau. 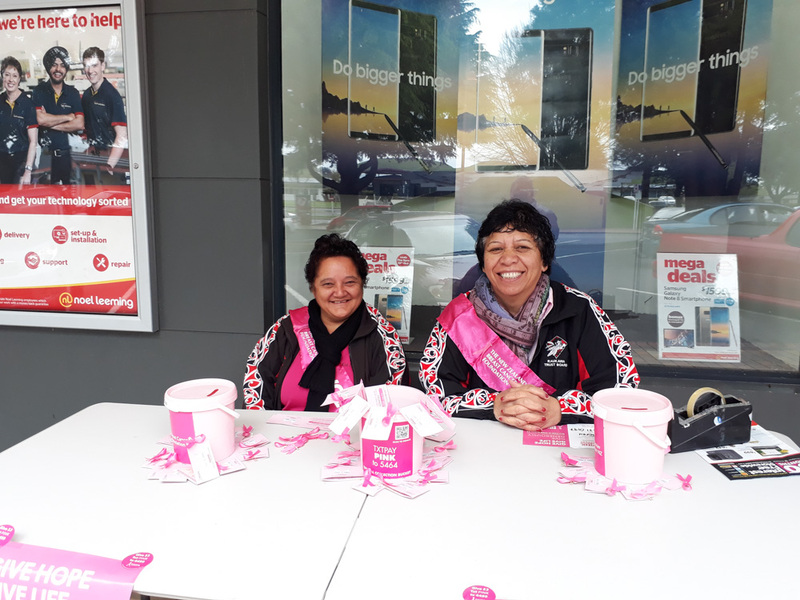 You can support the mahi of Breast Cancer New Zealand here, and you can learn more about BreastScreen Aotearoa here.